The Octavius is a famous apocryphal ghost ship from the 18th century that has earned a formidable reputation in maritime lore. 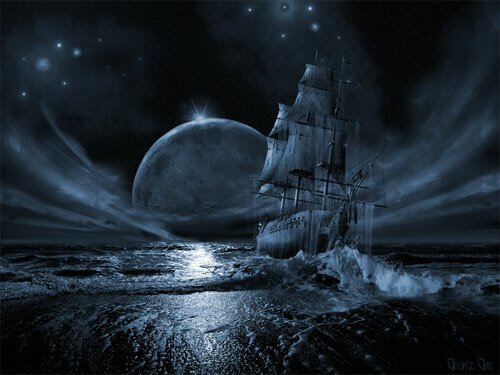 The legend is that a whaler named the Herald spotted the ghost ship adrift off the western coast of Greenland on October 11, 1775. The five men on board the Herald went on to check the ship and found all 28 crew below deck frozen dead and almost perfectly preserved. The most eerie aspect of the ship was the Captain, who was still sitting on his table, seemingly writing entries to his log with his pen clutched in his fingers. It seemed as if he was alive, except he wasn’t; he was also frozen as he wrote. In the captain’s cabin, there were other two bodies: a young woman and a boy who was wrapped in a blanket as if the mother was protecting her child from the cold. After seeing the frozen pilot and bodies in the cabin, the crew of the Herald got spooked and quickly left the schooner, only taking the captain’s log along with them. The last entry in the journal of the Octavius’ captain was from 11 November 1762, which meant that the ship had been adrift in the Arctic for nearly 13 years. As the entire log was frozen just like the captain, most of the pages slipped out: only the first and last page stayed intact, enough to give a clear indication of the ship’s final whereabouts and possible cause of deaths of the crew. In the following years, a number of stories started building up around the discovery of Octavius, suggesting that the ship had let English coast in 1761 heading towards the Orient and had successfully made to the destination the following year. 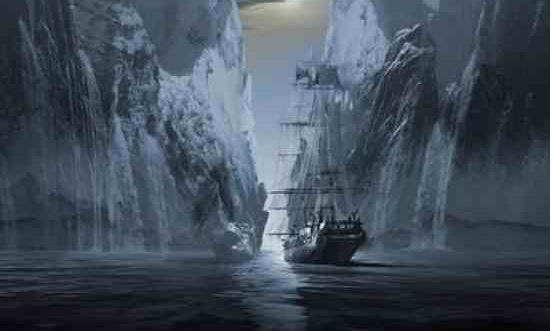 However, the ambitious captain decided to gamble and took the return journey through the most treacherous and then very little known Northwest Passage, which lead to the Octavius’ demise when the crew were frozen after becoming trapped in the icy seas of Northern Alaska. However, the ship did actually make it through the Northwest Passage, but only posthumously. After Octavius’ encounter with the crew of the Herald, the men had to get off the ship due to the peculiar situation they encountered once on board. After they had left the ship, Octavius was driven away from them due to the high winds and strong streams. Octavius’ last recorded position while the people were still alive was 75N and 160W, 250 miles north of Barrow, Alaska. Ever since the news of Octavius‘ discovery reached the mainland, a number of stories started emerging, some based on pure speculation while others genuinely attempting to explain the mysterious freezing of the captain in mid-sentence. However, in many versions of the story, the entire narrative was changed and even the name of the ship was omitted. In a 1905 version of the Octavius story by author David Meyer, the ship was given the name Gloriana and the fact that Captain took the Northwest Passage on his way back was entirely omitted from the story. The earliest version of the ghost ship that was traced by Meyers and on which he based his narrative was published in a December 1828. In the edition of the Philadelphia-based newspaper entitled The Ariel: A Literary and Critical Gazettel,: wherein there was no mention of the Northwest Passage and ship was given no name at all.